Napoleon invades Gwynedd Museum and Art Gallery in Bangor | News by Wales Express News, People Before Profit! “Josephine was a woman of exceptional taste. She and Napoleon believed in the principle of spending your way out of a recession.” – Emma Hobbins. To coincide with Emma Hobbins’s exhibition ‘Cataloguing and Other Delights’ and the Museums at Night Festival there will be an evening with a distinctive French feel in Gwynedd Museum and Art Gallery, Bangor this Friday. 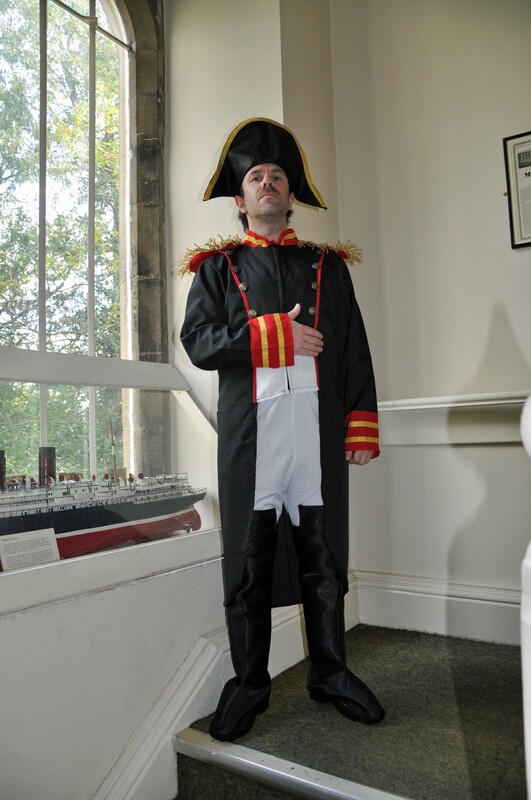 The actor Iwan Charles will be Napoleon himself, leading you around the museum and introducing the collections in a whole new light! The historian Bob Morris will give an interesting talk about the perceived Napoleonic threat to north west Wales. There will be a workshop suitable for families and children with Emma Hobbins – create your own catalogue card. The Museum Collections Officer will lead an object handling session. An entertaining evening, something for all ages Friday evening, May 15, from 6.30pm to 8.30pm, free entry.